New Scientist publish about the first hacker revealing security holes in wireless communication technology in 1903. Nevil Maskelyne was first in a long line of hackers who have exposed and exploited security flaws in communication technology from Morse code to the Internet. The crowd was somewhat amused as the physicist John Ambrose Fleming was adjusting arcane apparatus as he prepared to demonstrate the long-range wireless communication system developed by his boss, the Italian radio pioneer Guglielmo Marconi. Marconi was 300 miles away in Cornwall trying to send the message. Before the demonstration could begin, the apparatus in the lecture theatre began to tap out a message.It was a poem which accused Marconi of "diddling the public". Arthur Blok, Fleming's assistant, worked out that beaming powerful wireless pulses into the theatre were going to be strong enough to interfere with the projector's electric arc discharge lamp. It started by spelling "Rats" repeatedly and then ripped into the poem.Maskelyn proved that Marconi's gear was insecure and it was likely that they could eavesdrop on supposedly private messages too. Maskelyn proved that Marconi's gear was insecure and it was likely that they could eavesdrop on supposedly private messages too. While Marconi did not wave his arms about the hack, which was unusual for an Italian. Fleming fired off a missive to the Times. He dubbed the hack "scientific hooliganism", and "an outrage against the traditions of the Royal Institution". He asked the newspaper's readers to help him find the hacker. However Maskelyn, whose family had made a fortune making "spend-a-penny" locks in pay toilets outed himself four days later and justified his actions on the grounds of the security holes it revealed for the public good. 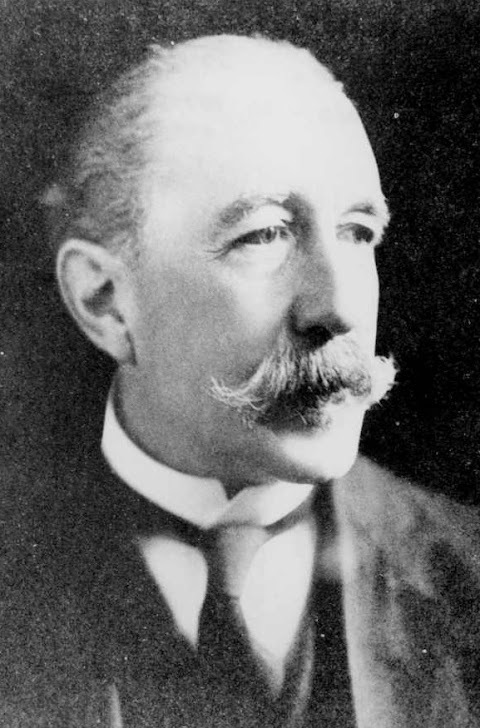 Maskelyne used Morse code in "mind-reading" magic tricks and in 1900, Maskelyne sent wireless messages between a ground station and a balloon 10 miles away. However he was stuffed up by the fact that Marconi had such broad patents on the technology and could not develop it. It turned out that he was hired as a spy for the Eastern Telegraph Company which was worried tht Marconi would stuff up its business. Maskelyne built a 50-metre radio mast on the cliffs west of Porthcurno to see if he could eavesdrop on messages the Marconi Company was beaming to vessels as part of its highly successful ship-to-shore messaging business. In The Electrician magazine in 1902, Maskelyne pointed out that the security on Marconi's set up was a doddle to hack. Fleming blustered for weeks in the newspapers about Maskelyne's assault being an insult to science but he was snookered by the hack. Maskelyne's name had been forgotten but now he is in the history books as the world's patron saint of hackers.